hd00:15ROMA, ITALY - JANUARY 23 2016: Time-lapse: Arch of Constantine is triumphal arch in Rome, situated between Colosseum and Palatine Hill. 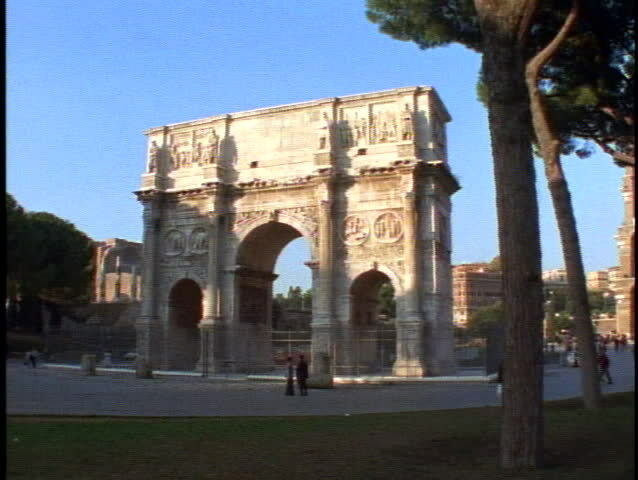 Erected to commemorate Constantine I .
hd00:15Arch of Constantine is a triumphal arch in Rome, situated between Colosseum and Palatine Hill. Erected by Roman Senate to commemorate Constantine I victory over Maxentius at Battle of Milvian Bridge. 4k00:23Arch of Constantine Zoom Rome, Italy timelapse.